3 Bedroom, 2 Bathroom Room – Updated Interior & Great Outdoor Deck!!! PRIME St. Pete Location!! Enjoy all the activities and lifestyle that St. Petersburg has to offer. This home is located in the highly desired Snell Shores subdivision of Old Northeast St. Petersburg. This updated 3 Bedroom, 2 Bathroom home is within a couple minutes to shops, groceries, and restaurants. Close to 4th street, downtown St. Petersburg, I-275, and Crisp Park with access to public boat ramps. With character and charm, this could be the perfect home for you! Featuring new updated appliances in the kitchen with granite counter tops, beautiful flooring with original hardwoods, new plush carpet, marble bathroom tiles, new brick stone flooring in master bath, and plenty of natural light, you’ll feel refreshed every time you walk through the door. 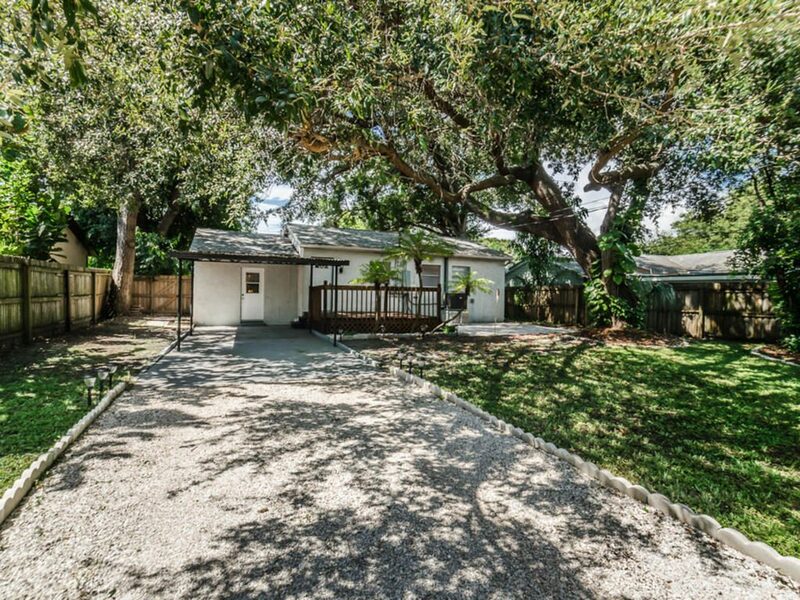 Enjoy your new home with its shaded backyard perfect for entertaining under the large oak tree – featuring large patio and deck area, convenient alley access, and fenced-in yard for privacy. Even bring your boat and store it right in your backyard! New A/C system and new water heater installed 2015. Create your own piece of paradise in St. Pete – Make this your Home Today. Walk, or bike, to all the local amenities St. Pete has to offer!